A few restrictions may apply. This coupon never expires. 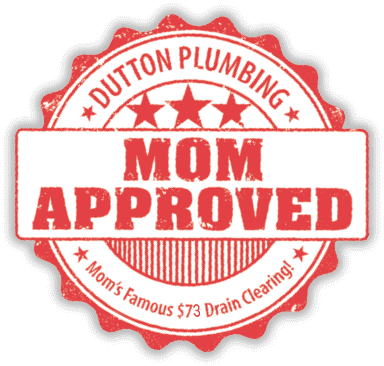 Dutton Plumbing, Inc is a premier choice for plumbing services in the area! Our fast and reliable Simi Valley plumbers serve residential clients throughout Ventura and Los Angeles Counties, from repairs and new installations to replacements and routine maintenance. 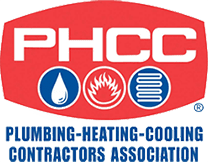 We have expert plumbers on staff who would be happy to handle clogged drains, new water heater installations, and any other plumbing problem you might be experiencing on your behalf. 100% satisfaction is guaranteed for every project handled! In addition to our A-level service, you can always count on our plumbers to arrive at your home on time when you have a scheduled maintenance request. Because we bill for the job instead of the hour, you keep more money in your pockets and available time on your calendar. It also affords us the ability to put attention to detail towards your individual needs. Affordable 60-minute service is guaranteed to customers located in Northern Los Angeles, Santa Clarita, Burbank, Thousand Oaks, Simi Valley, Ventura, Camarillo, Moorpark, and the surrounding communities. Need a reliable Ventura County plumber? Give Dutton a call today at (844) 811-5449. 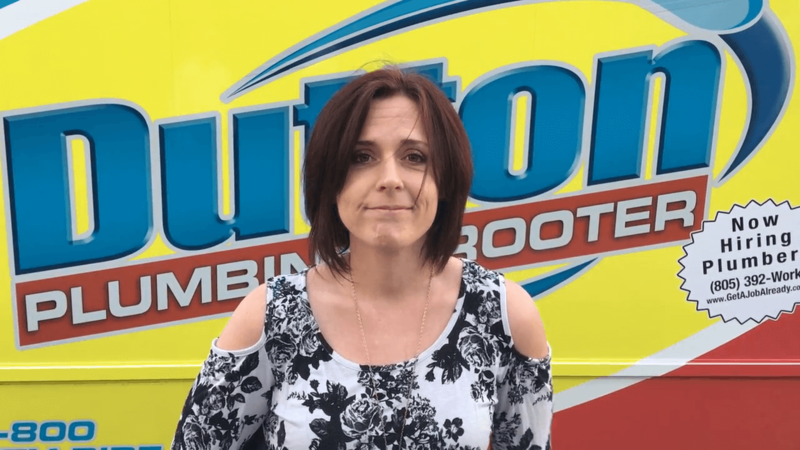 Let Dutton Plumbing Handle Your Needs! You can count on Dutton to get the job done right! Our licensed plumbers can find and repair your problem within hours, not days! They did a wonderful job and I will have them back again if I needed to! I don't use any other company because Dutton always gets the job right! Adam has been in the industry for over 30 years! He likes it so much, that if he were to start everything over again, he’d do two things exactly the same way: be a plumber again, and marry the same beautiful woman. He works hard to raise his children the right way. Adam has four children, two of which play basketball competitively. To learn more about this technician, including previous reviews, click or tap here to view their ReviewBuzz profile." Bernardo has been with the company over a decade, proving his status as a cornerstone of all the we do here! There isn’t a single operation we do that we can’t trust Bernardo to handle, faster than simply anyone else. When we need to get a project done in the knick of time, there is only one name that comes to mind, Bernardo! To learn more about this technician, including previous reviews, click or tap here to view their ReviewBuzz profile." Brandon has had plumbing in his blood as long as he can remember. He’s found a welcome home here on our team. Whether he’s in the field, grooming his glorious mustache, or playing with his dog. Brandon has a great personality, a wealth of knowledge, and more than enough muscles to provide the world’s best handshake. To learn more about this technician, including previous reviews, click or tap here to view their ReviewBuzz profile." "Caleb is a lover of life, people, music, culture, and all things creative. He is big on family, and loves spending time with his family at the park and hanging out on the weekends. Caleb truly values people and all relationships, and cannot wait to find out how he can help you. To learn more about this technician, including previous reviews, click or tap here to view their ReviewBuzz profile." Carlos's number one priority in life is family! Over eight years ago, he married his best friend. And while they may not have children quite yet, they definitely can't wait to. In his free time, he can be found hanging out with friends, or spending time with his wife. Carlos aims to be the best plumber possible, and wants nothing more than to make your day! To learn more about this technician, including previous reviews, click or tap here to view their ReviewBuzz profile. Carlos is an easy-going guy who is always willing to help. He loves spending time with family and two beautiful daughters, and is an avid cook! He loves to BBQ carne asada and whip up all sorts of delicious food. When not at work, he travels all over and loves meeting new people whenever he can. Fun fact: his favorite state is Oregon! Carlos is an industry veteran who never says no to a new challenge, and always has a smile on his face. To learn more about this technician, including previous reviews, click here to view their ReviewBuzz profile." Cole is very disciplined, as a very young individual, he’s certainly made a huge impact. Our customer reviews have the very same thing to say about him! He is the pinnacle of personal responsibility. He always shows up on time with a clean uniform! He just so perfectly fits the core value of being “professional! To learn more about this technician, including previous reviews, click or tap here to view their ReviewBuzz profile." David has been with the company for more than a decade! After passing through our apprentice programs, David has shown us that he’s got a lot to offer us too! We are all envious of his phenomenal beard, but even more so of his incredible growth within his technical knowledge. David is incredibly supportive, providing assistance with his wealth of knowledge to those he works alongside. To learn more about this technician, including previous reviews, click or tap here to view their ReviewBuzz profile. Born in a family of plumbers, Edgar has been doing plumbing alongside his dad since the tender age of 15, but officially on his own at the age of 19. When it comes to plumbing, Edgar is very knowledgeable and loves to problem solve. When not in his van helping clients with plumbing issues, he can be found riding his motorcycle down PCH or playing with his two dogs, Blackie and Chewbacca. To learn more about this technician, including previous reviews, click here to view their ReviewBuzz profile. Edgar is a happily married man! He has a beautiful wife, and a 7 year old son. When Edgar isn't setting the Gold Standard for work ethic here at Dutton Plumbing, he can be found vacationing in Las Vegas, or camping with his family. He is a huge fan of Yosemite Park! He also goes to the gym quite often, and lives a healthy lifestyle. Edgar is a big religious man, and can be found in church on the weekends! To learn more about this technician, including previous reviews, click here to view their ReviewBuzz profile. Edgar is one of the hardest workers we have here! He's very friendly, a great listener, and is always very respectful of people's homes. In his free time, Edgar loves to go to the park with his beautiful family and play soccer. He can help anyone who needs it! To learn more about this technician, including previous reviews, click here to view their ReviewBuzz profile. Eric is no stranger to the great outdoors. He loves everything from camping to fishing and even riding motorcycles. He has two dogs, Aragon and DD. They can be a handful, but he loves them like crazy. Eric's primary mission is to provide excellent service! To learn more about this technician, including previous reviews, click here to view their ReviewBuzz profile. Enrique strives for excellence and believes that making people happy is the true reward. He loves problem solving and stepping up to new challenges with a smile on his face. In his free time, Enrique loves taking on all kinds of outdoor activities such as football, baseball, and all kinds of other sports. He also loves dog walking. To learn more about this technician, including previous reviews, click or tap here to view their ReviewBuzz profile. Felix strives for excellence and believes that making people happy is the true reward. He loves problem solving and stepping up to new challenges with a smile on his face. Felix was born and raised in California, and has been in the plumbing industry for over 15 years! He is a proud father of 2 girls, and loves the great outdoors including hiking, swimming, going to the beach, and just about any sport (but especially football). When he's not busy doing all of the above, Felix can be found listening to a variety of music and going to museums. To learn more about this technician, including previous reviews, click or tap here to view their ReviewBuzz profile. Gabriel strives for excellence and believes that making people happy is the true reward. He loves problem solving and stepping up to new challenges with a smile on his face. In his free time, Gabriel can be found in the great outdoors playing soccer or spending time with his family. To learn more about this technician, including previous reviews, click or tap here to view their ReviewBuzz profile. Guillermo strives for excellence and believes that making people happy is the true reward. He loves problem solving and stepping up to new challenges with a smile on his face. In his free time, Guillermo can be found going on fishing trips, and spending time with his wonderful family. To learn more about this technician, including previous reviews, click or tap here to view their ReviewBuzz profile. Jake has never been afraid to step up to the plate and take on responsibility and hard work. He’s started off, as many through our apprentice program and become an exceptional plumber in the process. If you’re lucky enough to have Jake in your home, you’ll be met with an easy going and friendly personality. He is an outdoorsman, so even if you’ve got some logs that need to be moved or chopped, look no further! Jake is much more than “just a plumber!"" To learn more about this technician, including previous reviews, click or tap here to view their ReviewBuzz profile. James loves the open road, specifically riding motorcycles! He is a father of 2 amazing boys, and has a cat named Coco. To relax, he enjoys fishing on the weekends. James comes from a mechanical background, which include (but are not limited to) welding, metal fabricating, and auto mechanic work. In essence, James loves to fix things! To learn more about this technician, including previous reviews, click or tap here to view their ReviewBuzz profile. James strives for excellence and believes that making people happy is the true reward. He loves problem solving and stepping up to new challenges with a smile on his face. James loves sports in a big way, and played football throughout High School. He also has a cat, and has been a plumber for over 7 years. To learn more about this technician, including previous reviews, click or tap here to view their ReviewBuzz profile. Jaiyro is a big fan of the outdoors! He enjoys playing soccer, but most of all being a part-time barber. He always strives for excellence and believes that making people happy is the true reward. Jaiyro loves spending his free time with his family and his pet boxer, Honey. To learn more about this technician, including previous reviews, click or tap here to view their ReviewBuzz profile. Jay’s been with the company for well over a decade. He’s very outgoing with a great personality – he even won best smile in high school! In his spare time, you can find Jay snowboarding, riding his motorcycle, or just staying active in the gym. Jay’s biggest attribute is that he takes care of his mother. He feels that being raised by a single parent, there is no better way of paying her back! To learn more about this technician, including previous reviews, click or tap here to view their ReviewBuzz profile. Jimmy has been in the industry for many years. He has a beautiful family at home and spends his free time with them. He has a passion for old classic cars and loves to spend time outdoors going hiking, camping or fishing. Jimmy is ready to reel in any plumbing problems you may have and take care of them. To learn more about this technician, including previous reviews, click or tap here to view their ReviewBuzz profile. Jonathan strives for excellence and believes that making people happy is the true reward. He's an avid woodworker, and enjoys making anything from custom redwood shelves to small cabinets. He's also a hugely big deep sea fishing fanatic - it's all about chasing the tuna for him! Jonathan's loves spending time with his wife and two daughters, along with "Harden" his pet bulldog. To learn more about this technician, including previous reviews, click or tap here to view their ReviewBuzz profile. Juan Carlos is an army veteran! Hardworking and driven, his number one goal is always to accomplish any mission. Juan Carlos is a family man, and both grew up and went to High School in Chatsworth, California. Fun fact: he's both an owner and lover of bulldogs! To learn more about this technician, including previous reviews, click or tap here to view their ReviewBuzz profile. 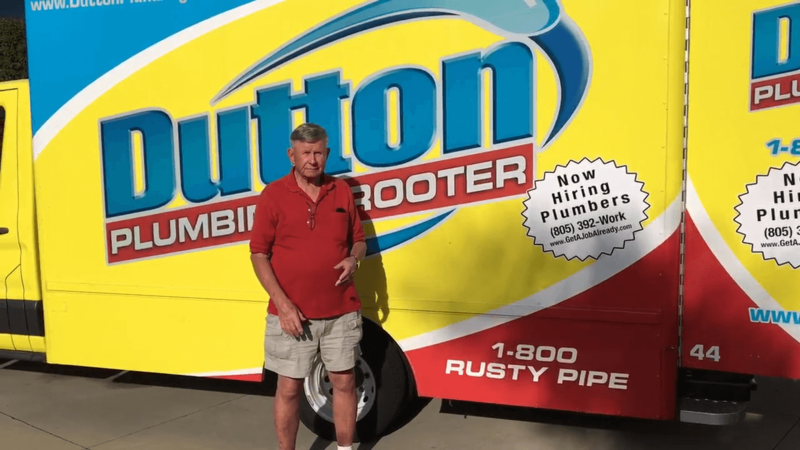 JP, as he is known within our team, is a cornerstone of Dutton Plumbing. We have yet to throw a job at him that he hasn’t excelled at! In his free time, Juan can be found working out at Crunch Fitness in the mornings, and on the weekends can be found playing soccer. As with many of our employees, his presence is highly sought after for his unbeatable work ethic and commitment to the team. Fun fact: Juan is bilingual in both Spanish and English! To learn more about this technician, including previous reviews, click or tap here to view their ReviewBuzz profile. Big Ken! A big guy with a quiet personality, unassuming even! However, his words reveal a knowledge of plumbing deeper than most understand! He’s been through so much that it would be fair to say he’s helped to shape the industry as we know it! We’re proud to have such an experienced virtuoso of sewers and drains! To learn more about this technician, including previous reviews, click or tap here to view their ReviewBuzz profile. Ken Jr. grew up in the family business of plumbing, and in 2001 decided to turn it into his lifelong career. When he isn’t working hard, he spends his free time fishing or bowling. He is just as talented at bowling as he is at plumbing and has bowled a perfect 300 game. Ken is eager and ready to strike out any of your plumbing problems! To learn more about this technician, including previous reviews, click or tap here to view their ReviewBuzz profile. Lon strives for excellence and believes that making people happy is the true reward. He has a loving wife and two cats. In his free time, Lon enjoys fishing, camping, hiking, and generally being outdoors. But even more than being outdoors, he loves fixing things, and can't wait to tackle your plumbing problems. To learn more about this technician, including previous reviews, click or tap here to view their ReviewBuzz profile. Luis has over 10 years of mechanical experience. His biggest accomplishment and the thing he’s most proud of is his 6 year old little princess. So be certain he’ll do awesome work and in a timely fashion. He has to get back home for a tea party. To learn more about this technician, including previous reviews, click or tap here to view their ReviewBuzz profile. Marc is a family man with an older sister and two loving parents. His old English bulldog, Stella, is a long time companion of his. Marc is proudly married and is a loving father to two beautiful girls! I guess they take after their father after all! Who knows, maybe they’ll be future Dutton team members too. To learn more about this technician, including previous reviews, click or tap here to view their ReviewBuzz profile. Mark has been in the plumbing industry for well over 15 years, and a part of the Dutton family for many years now. He has 4 beautiful children and a cute dog named Batman. In his free time, he enjoys having a good time with family and friends. Mark is ready for any challenge that comes his way and is ready to take care of all of your plumbing needs. To learn more about this technician, including previous reviews, click or tap here to view their ReviewBuzz profile. Martin loves the outdoors! When not running to stay in shape, he can be found out camping. On the weekends, he can be found at the park playing soccer (futbol) with his family. on the weekends. To learn more about this technician, including previous reviews, click or tap here to view their ReviewBuzz profile. Michael has been in the plumbing industry for well over five years. As a former wrestling champion, he enjoys fitness, and spending time with his girlfriend. In his spare time, Michael works on race cars and loves a good book - mostly biographies. To learn more about this technician, including previous reviews, click or tap here to view their ReviewBuzz profile. 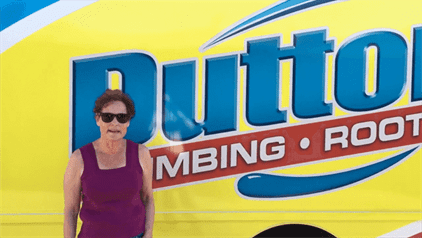 Nicholas was born into the business of plumbing, and has been around it his whole life. Over 10 years ago, he decided to take it on as a full-time career. He dedicates his free time to self-development and his family. In his free time, Nick enjoys all things outdoors, but most importantly fishing and camping! He loves hanging out with his wonderful wife of over 10 years and two kids (one boy and one girl). Personal development is a passion of Nick's as well. To learn more about this technician, including previous reviews, click or tap here to view their ReviewBuzz profile. Noe (pronounced No-E) is one half of our drywalling installing crew, as he puts it, the handsome half! Their brotherly rivalry brings a smile to both our teams and customers alike! In his free time, Noe loves to spend time with his family, especially his grandson! He and his family can often be found spending long, fun-filled days at the park. Noe and his family love going to church on both the weekdays and weekends, and often go to the movies together. To learn more about this technician, including previous reviews, click here to view their ReviewBuzz profile. Randy strives for excellence and believes that making people happy is the true reward. He loves problem solving and stepping up to new challenges with a smile on his face. Randy is an avid surfer and loves going to the beach with his family. He has a beautiful wife and 7 children with who he loves to play sports with in his free time. He also has two dogs (Snoopy and Peanut), and an aquatic turtle named Pee Wee. Randy doesn't let plumbing problems get in his way, as he's also big into martial arts (of which he started at the age of 5)! To learn more about this technician, including previous reviews, click here to view their ReviewBuzz profile. Ricardo always has a smile on his face, and is often cited as the right hand man for lead installers. Within our teams, we all fight over who gets this invaluable individual! Ricardo loves spending time with his family, and can often be found at the park with his kids playing soccer. To learn more about this technician, including previous reviews, click here to view their ReviewBuzz profile. Ric strives for excellence and believes that making people happy is the true reward. And he's is no stranger to the great outdoors! In his free time, he can be found fishing or playing golf with his grandkids. But Ric also loves going to Steelers games and can't say no to NASCAR. To learn more about this technician, including previous reviews, click or tap here to view their ReviewBuzz profile. ofile. Rich is definitely a family man. He has 3 kids, one son and 2 daughters. A big priority in his life is spending time with his family. When they were younger, he coached his kids through sports like soccer, baseball, and a few others. Rich has a huge range of hobbies including fishing, sports, surfing, but more importantly, spending time with his kids. To learn more about this technician, including previous reviews, click here to view their ReviewBuzz profile. Richard strives for excellence and believes that making people happy is the true reward. He's big into classic cars and even bigger into football. Every Sunday, Richard holds family events at his house, which includes his 3 daughters and 1 grandson. Richard loves to not only work, but get it right the first time! To learn more about this technician, including previous reviews, click here to view their ReviewBuzz profile. As a fearless leader with the “physique of a god,” Ryan is a mountain of a man with enough plumbing knowledge to match. In his free time, he enjoys working out, and hanging out with both his friends and girlfriend. Ryan has 4 dogs and 2 cats, and graduated from CSU, Chico. To learn more about this technician, including previous reviews, click here to view their ReviewBuzz profile. Ryan has been with the company for well over a decade now! He's so efficient, he'll tackle all your plumbing fears. At home, he has two dogs. What he doesn't have are any clogs. Even though his truck is Dutton yellow, he'll be your perfect Dutton fellow! To learn more about this technician, including previous reviews, click here to view their ReviewBuzz profile. Samuel brings our plumbing work to the next level with his proficiency as a drywaller and all things construction! Within minutes of showing up on a job site you’ll see Samuel lining up his tools for the day’s work ahead of him. just like us, we’re sure that you’ll marvel at the quality of his work. In his free time, he loves to hang out with family and taking them to the park to play. To learn more about this technician, including previous reviews, click here to view their ReviewBuzz profile. Shawn is an excellent student! In his free time, he enjoys playing video games, reading, and spending time with his family. But don't let his youth and good looks fool you, he always tries his best and is ready to learn anything that comes his way. When not studying or working, Shawn can be found playing video games with friends and family. To learn more about this technician, including previous reviews, click here to view their ReviewBuzz profile. Thomas is a huge fan of riding dirt bikes! And when Thomas isn’t on the job site, you’ll likely find him pumping iron in the gym or enjoying a fun road in his new car. Ever since he was just a young kid, he's always been fascinated by all things construction (especially plumbing). And if there's only one thing in this life that's certain, it's that Thomas will NOT leave your house without putting a smile on your face! To learn more about this technician, including previous reviews, click here to view their ReviewBuzz profile. We strive to have your technician at your door within 60-Minutes! We can be at your home within 60-minutes of your initial phone call. Call Us Today at (844) 811-5449!